A 1984 miners' strike rally in London. Former Prime Minister of the United Kingdom Margaret Thatcher, who in 1987 derided promoting the notion of an "inalienable right to be gay" among British youth. 1979. This piece was originally submitted for MIT 2152 – Media and Social Movements. In 2014, Pride, written by Stephen Beresford and directed by Matthew Warchus, premiered at the Cannes Film Festival. The film was an immediate success receiving a standing ovation, the Queer Palm award and later premiering at the Toronto International Film Festival. Pride recounts the unforgettable true story of the group LGSM, Lesbians and Gays Support the Miners. In the summer of 1984, during the height of the U.K. miners’ strike, the LGSM, led by Mark Ashton and Mike Jackson, began to collect donations for a mining community in Dulais Valley in South Wales. The subsequent friendship that developed between these two groups was critical during the AIDS epidemic for defending gay rights against the authoritarian Thatcher government. Prior to the debut of Pride, however, the history of the LGSM and their unlikely partnership with the National Union of Mineworkers was largely unknown to the general public and the academic community. Knowledge of these events today is still relatively limited as the story exists mainly in the shadows of more familiar milestones of the LGBTQ+ movement such as the Stonewall riots. I will argue that the efforts of the LGSM deserve greater recognition in the study of LGBTQ+ rights and the study of social movements as a whole because the group’s successes shed light on the importance of bridging solidarity among different groups of people. The LGSM was a revolutionary organization in the way the movement was able to effectively combat issues of the political identity paradox. In Beautiful Trouble: A Toolbox for Revolution, the political identity paradox theory states that “the stronger the identity and cohesion of the group, the more likely people are to become alienated from other groups, and from society.” Moreover, groups that are isolated have a more challenging time achieving their political goals because they do not have the much needed support of alliances. David Featherstone, author of Solidarity: Hidden Histories and Geographies of Internationalism, further suggests that solidarity has often been misunderstood as likeness, and this tendency to relate to groups based solely on narrow identity markers can be extremely limiting. The LGSM, however, understood the importance of fostering new ways of relating based on shared experiences of oppression. After highlighting this commonality, they were able to bridge divisions between class and sexuality-based politics. In Europe and North America, the 1980s were a disastrous decade for members of the LGBTQ+ community, especially for gay men. In the U.K., gay marriage was illegal, there was an age restriction on consent, equal rights did not exist yet and with the outbreak of the AIDS epidemic in 1981, in addition to battling discrimination, gay men were also fighting for their lives. In wards across the United Kingdom gay men suffering from HIV and AIDS began dying at alarmingly high rates. There was no treatment available to these individuals, and there was also very little information about how to prevent the spread of the virus. Margaret Thatcher, the ruling prime minister at the time, was largely unsympathetic toward the gay community during this period despite the fact that they were suffering more severe forms of prejudice and harassment than ever before. Due to the stigma of the AIDS virus as a "gay disease" and the belief that it could be contracted from casual contact, many gay men lost their jobs or were evicted from their homes. The paranoia of the AIDS epidemic resonated through every avenue of public life, reinvigorating homophobic attitudes and undermining the progress that had been achieved by the budding Gay Liberation Front. While the gay community continued to suffer under these conditions, the Thatcher government also began condemning participants of the miners' strike. The strike, which lasted from 1984 to 1985, was the last attempt of the NUM to stop the closure of collieries in local communities across the U.K. For many of these towns, mining was the only source of employment. In their fight against pit closures, the miners encountered a heightened level of police violence and harassment. The same chief constable of the Greater Manchester Police, Sir James Anderton, who said gay people suffering from AIDS lived in a “human cesspool of their own making,” was also quoted describing mass picketing demonstrations as “acts of terrorism” and trade unions as “a politically motivated industrial mafia at work.” At picket lines, police bludgeoned strikers with truncheons, charged with horses and arrested people without reason, all tactics previously employed to subdue gay rights groups. It was this expression of police brutality that inspired the formation of the LGSM, because gay people began to understand how this violence mirrored their own experiences. Mark Ashton, founder of the LGSM, recognized that the two groups had a common enemy, a point he made clear in stating, “Mining communities are being bullied like we are, being harassed by the police, just as we are. One community should give solidarity to another. It is really illogical to say: ‘I’m gay and I’m into defending the gay community, but I don’t care about anything else.' ” Ashton, who was an outspoken and avid communist, convinced his LGBTQ+ friends to join forces with the working class, an impressive undertaking considering the history of persecution gay people had suffered at the expense of these same individuals. 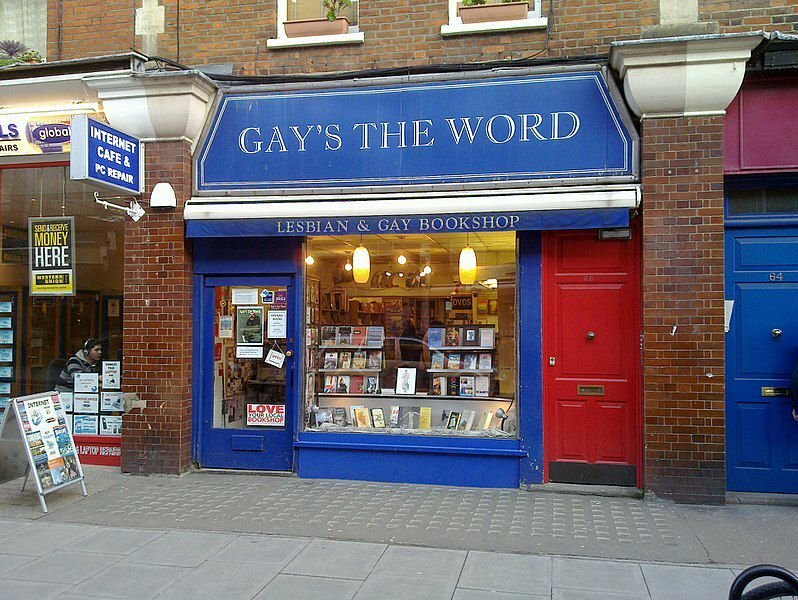 The largest and most successful of the 11 LGSM groups across the U.K. was located in London, England, and its headquarters was the Gay’s The Word bookshop at 66 Marchmont St. At the 1984 London Pride parade, members of LGSM collaborated at the bookshop and began collecting donations for the miners’ strike. However, they soon realized the Thatcher government had sequestered the funds of the NUM, so it was not possible to donate directly to the union. Instead, the London LGSM decided to concentrate their efforts on helping a single mining community in Dulais Valley in South Wales. In December, the group arranged a concert in order to increase awareness and monetary support for the miners in Dulais. The name of the concert, "Pits and Perverts," was a reclaiming of branding The Sun had published in an attempt to subvert the support the miners were receiving from the gay community. The concert, a nonviolent and creative use of cultural weapons, was a huge success, raising over 5,000 pounds (approximately C$9,000). In total, it is estimated from street collection, raffles and other initiatives that the LGSM raised a total of 20,000 pounds (approximately C$35,500) and paid a quarter of Dulais’s bills during the mining dispute. In all of their efforts, the LGSM campaigned openly as lesbians and gay men. This visibility was important because LGSM’s alignment with the working class was also a deliberate strategy to push issues concerning gay rights, sexual liberation and HIV and AIDS treatment to the forefront of the political agenda. Ashton reasoned that if lesbians and gay men lent their support to miners and their communities, the solidarity would be reciprocated — and it was! Although the miners' strike was defeated in 1985, the LGSM’s alliance with the NUM had far-reaching benefits for the LGBTQ+ community in the subsequent years after the strike. For starters, the LGSM’s visit to Dulais helped to increase visibility of the gay community, promote acceptance and break down prejudices held on both sides. During their visit, LGSM members were welcomed into the homes of heterosexual families where they engaged in productive conversations about gay rights and human sexuality. In 1988, the town held a meeting in order to discuss ways to counter Clause 28, an addition to the Local Government Act that prohibited the promotion of homosexuality by local governments. 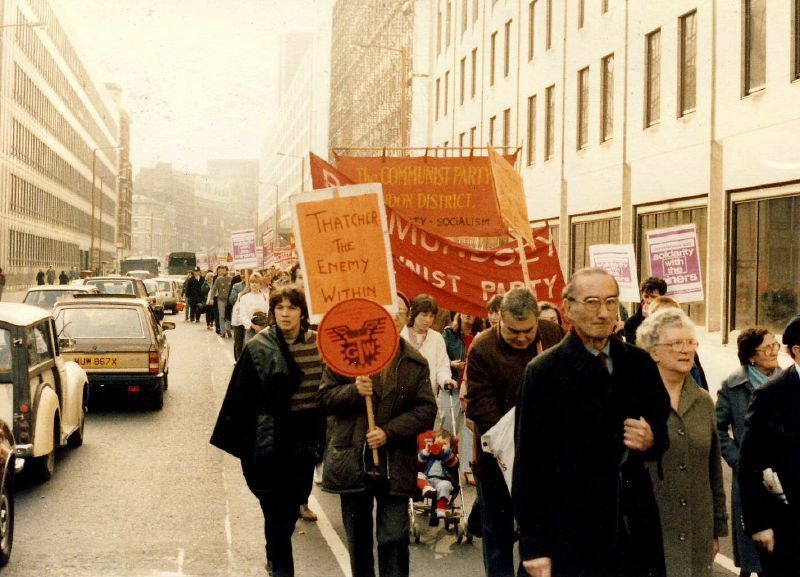 In response to the assault on the LGBTQ+ community, Kath Jones of South Wales wrote to Mike Jackson: “[We] have not forgotten the solidarity, and the moral and financial support that the Lesbian and Gay Communities gave to our families during the Miners’ Strike of 1984/85.… We will do all we can in our area to publicise and campaign against the implications of the Bill especially Clause 28.” Jones’ remarks indicate that the LGSM’s influence helped to improve the treatment of lesbians and gay men in South Wales, a small victory but no less remarkable than other triumphs of gay rights groups. The LGSM also made a lasting impact on the working class’ understanding of sexual politics. At the 1985 Pride parade in London, straight supporters were invited to participate in the march for the first time in the event’s history. Leading this march was the LGSM and their NUM allies. After this point, miners' groups began to regularly participate and endorse various LGBTQ+ events. In addition to the support and friendship developed between these two groups, trade unions and labour movements also undertook a process of creating LGBTQ+ networks for members within their individual organizations. At the People’s History Museum in Manchester, there is an archive of documents dedicated to the LGSM’s role in helping to establish rights for LGBTQ+ people within working class communities. It includes documents like the “Legislation for Lesbian and Gay Rights: A Manifesto,” as well as an end of year report on the initiatives of the London district of the Communist Party of Great Britain, with respect to the Lesbian and Gay advisory. This report asserts that the work of the CPGB needs to exist to help lesbians and gays obtain the rights they deserve. Collectively, these documents illustrate that there was a conscious effort to make space for gay people in labour movements. One of the biggest political breakthroughs for the gay community occurred in 1985 when the Labour Party conference saw a motion to support equal rights for gay men and lesbians. Although the motion came down to the wire, it was carried due to the block of votes of the NUM. Therefore, by cultivating solidarity with the miners' cause in 1984, the LGSM was able to expand their sphere of influence and make significant political change. A testament to the genuineness of the bond that was established between the LGSM and the NUM is the fact that when Mark Ashton died of AIDS in 1987, the miners from Dulais travelled to London to attend his funeral. He was only 26 years old. Mark was a revolutionary, and his belief in the importance of fostering solidarity among different groups of people was integral not only to the success of the LGSM, but also the strengthening of advocacy for the LGBTQ+ community across the U.K. During one of the most turbulent periods in history for the gay community, I am humbled by Ashton’s work and the profound impact he was able to make with the little time he had. His story and the story of the LGSM deserve the recognition, analysis and admiration it has yet to fully receive.